How does a concrete block wall double as a time machine? 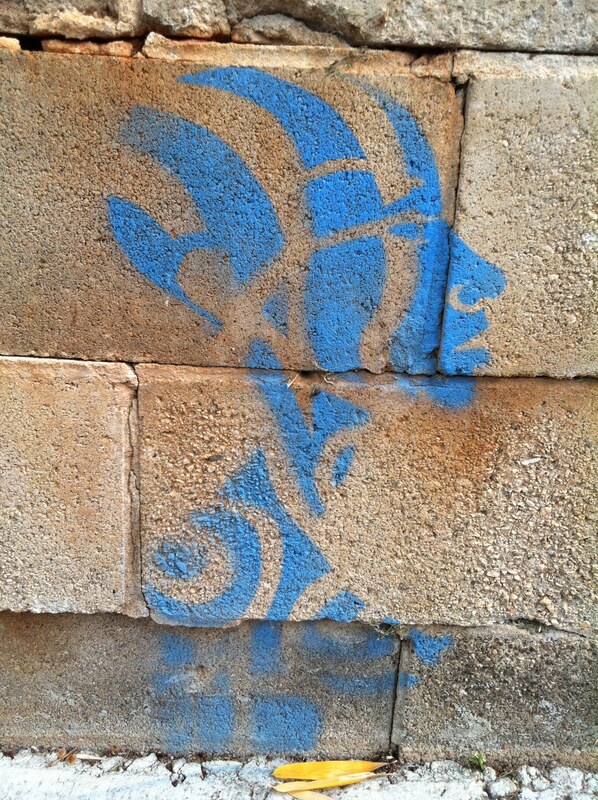 This graffito at ankle-height in Castleberry Hill, on Larkin Street, may be easy to overlook. Since it’s across the street from the Carl Williams Funeral Home, your mind may turn to the fragility of modern life. 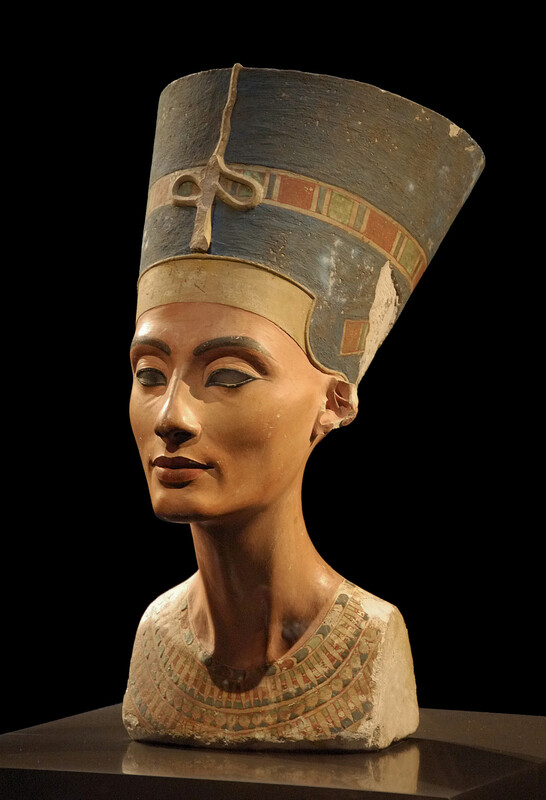 But once you fall under that royal profile’s spell . . .
. . . .You may find yourself transported to ancient Egypt and the court of Nefertiti. Or perhaps you incarnate in more recent Ivory Coast times to mourn the loss of an ancestor. The Akan people sometimes honor the dead with sculpture like this. 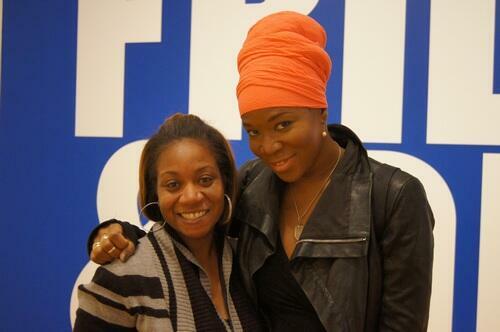 Or maybe it’s just all about India Arie, who visited the Frida Kahlo and Diega Rivera exhibit at the High Museum last week. Any other art historical celebrities we should be visiting on this time tour? This entry was posted in Art in Atlanta, Uncategorized and tagged Akan, Castleberry Hill, funerary art, graffiti, High Museum, India Arie, Nefertiti bust, street art on May 8, 2013 by Bryan Alexander.